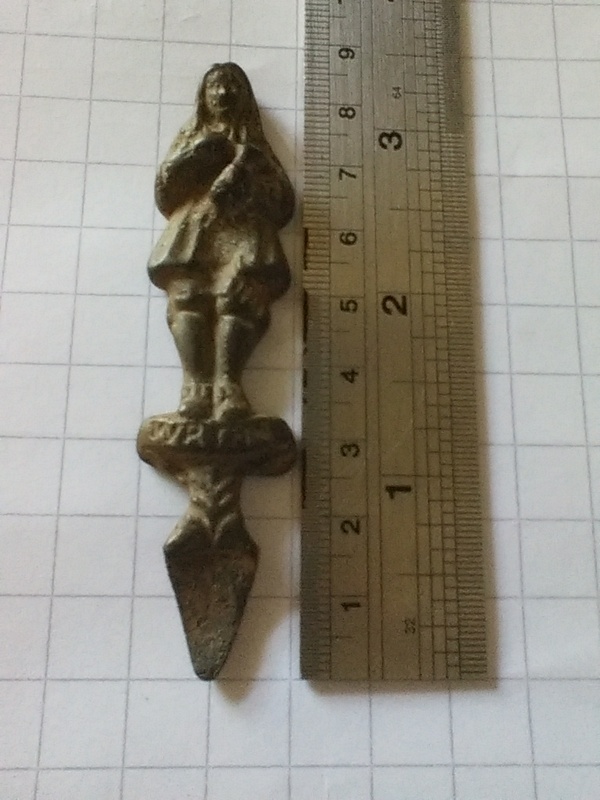 I unearthed a small metal cast figure in my garden. It has a point on one end. It has the letters W R I(possibly E) N on it. Wondered if it had a connection to Sir Christopher Wren who lived in the next village (Bletchingdon)? Would like to know what it would be used for and how old it could be. It's approx 8.5cm tall and 2cm wide. Expert: Nora replied 3 years ago. My name is ***** ***** I am here to help with your question. At your convenience, please send more photos. I look forward to seeing the images. If you are unable to send photos right away, that is fine – there is not a time limit here.